I love this card, it makes me want to party! 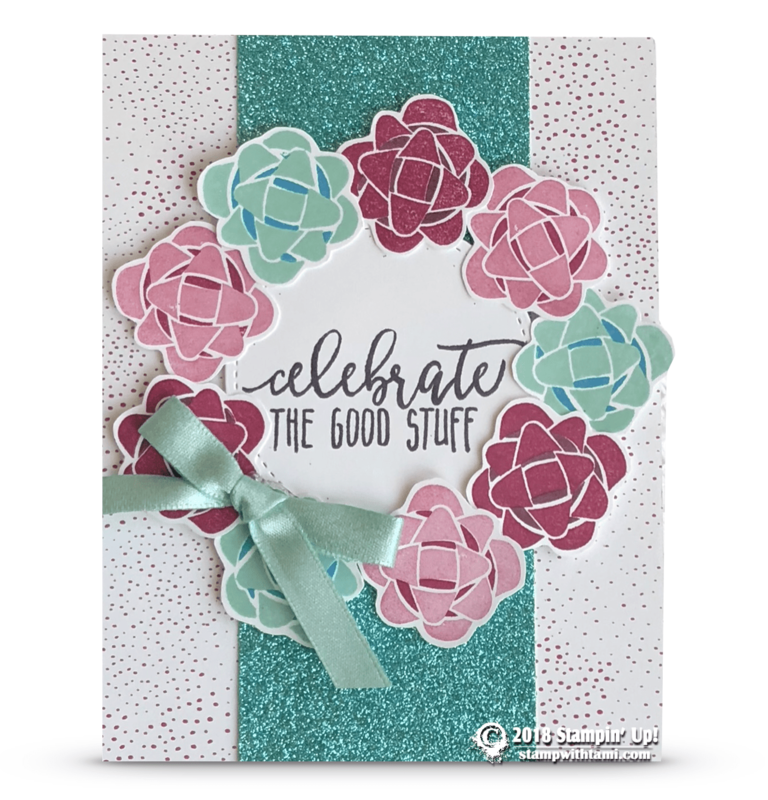 The fun bright colors, combined with the glimmer paper really pop off the card. Created with the Stampin Up Picture Perfect Birthday stamp set. With layers of the Myths & Magic Glimmer paper and Tutti-Frutti DSP. You can now get the Myths & Magic Glimmer paper free during Sale-a-bration? It’s true, details here.